Two hi-tech campuses and a flight simulation centre, we can train for most airline requirements. We have campuses in both Auckland and Christchurch and pride ourself on our extensive all inclusive capabilities. 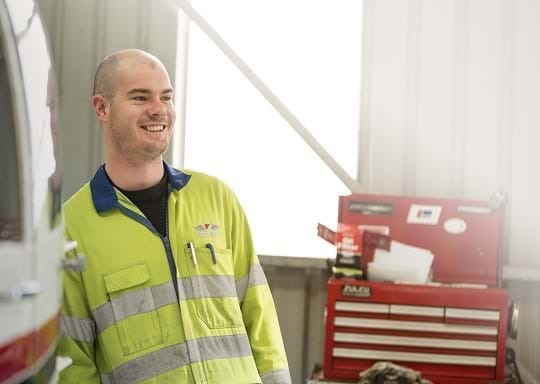 From pre-employment programmes for those entering the aviation industry for the first time, through to type training for airline staff, we will have a training solution to meet most airline, MRO, or individuals training requirements. Both of our campuses have a very friendly atmosphere, are modern and have great student facilities. There is a real buzz about the campuses as school leavers train along side experienced airline staff from all around the world. Our teaching staff are among the best in the world and work hard to ensure that you leave with the best possible outcome. Our campus at Rennie Drive hosts a range of programmes across all four schools, but with a focus on cabin crew training. To support the regular training of cabin crew this facility holds dedicated safety, emergency procedures, and firefighting equipment alongside service training classrooms. 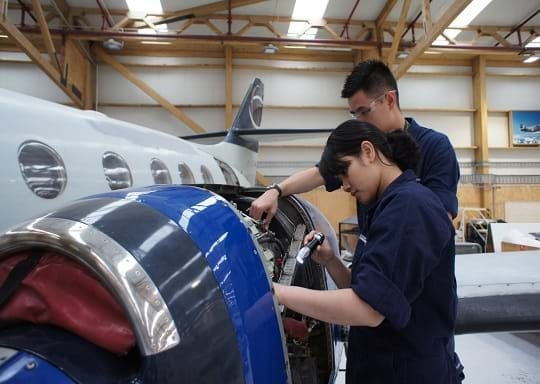 An aircraft hangar and workshops also support the training of aircraft maintenance engineers. A dedicated flight crew training facility housing the Aviation Institute's flight simulators. Almost all flight-crew training is conducted here, along with some professional aircraft maintenance courses. Seven full flight simulators are located alongside fleet specific classrooms and other associated training equipment. These facilities are available for hire by customer airlines. 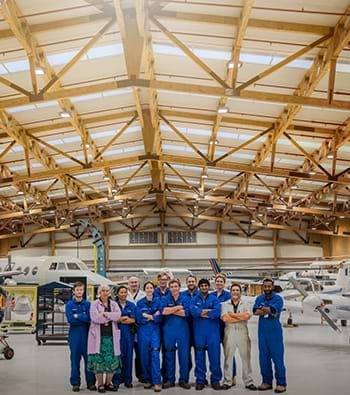 The Aviation Institute's newest campus, opened in 2015 and is home to our growing number of international students studying aircraft maintenance. 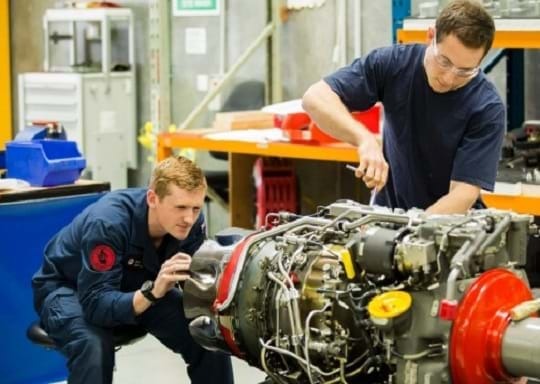 This Campus has its own hangar, aircraft and workshops, but is also located next to Air New Zealand's maintenance base providing excellent learning opportunities. Keep informed of our latest news and courses, join our mailing list. I attended the Air New Zealand engineering school in Auckland 2011. I found the course to be very enjoyable and it helped me learn a whole lot about the industry of which I had zero experience in. This then helped me to decide what paths I wanted to head down and kick started my career in aviation. The instructors were very knowledgeable in their subjects, and also provided a lot of guidance for when it came to job hunting. I would recommend the course to anyone wanting to get started in the Aviation industry, and you end up with some good mates along the way too. I was a student at ANZAI in 2012. During the 36 week course, I gained knowledge and hand skills that prepared me for the next step in becoming an Aircraft Engineer. With world class facilities and passionate tutors, my learning experience was second to none. The subjects covered, both theory and practical, were structured in an effective way that made learning not only fun but captivating. I would highly recommend ANZAI to anyone looking to pursue a career in Aircraft Engineering. Spending two years at the Air New Zealand Aviation Institute (ANZAI) is a part of my life I will never forget. Not only do they have an excellent learning environment and world class facilities, you get to be part of a family that goes out of their way to make sure you are headed in the right path ensuring your future in aviation. The endless knowledge and humour of the instructors at ANZAI made everyday exciting and most informative. Being an international student from Papua New Guinea, I found the culture at the school of engineering to be somewhat of the special kind and I can honestly say my colleagues and I enjoyed every moment of it. 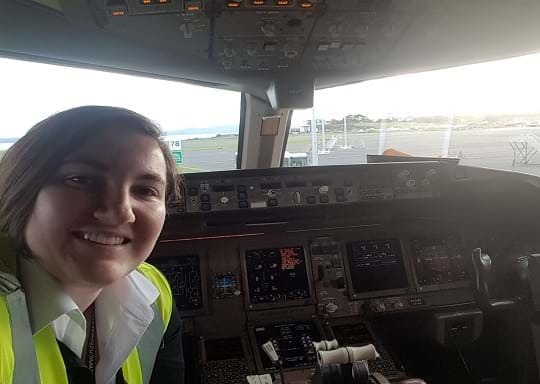 My time at the Air New Zealand Aviation Institute was both exciting and challenging. 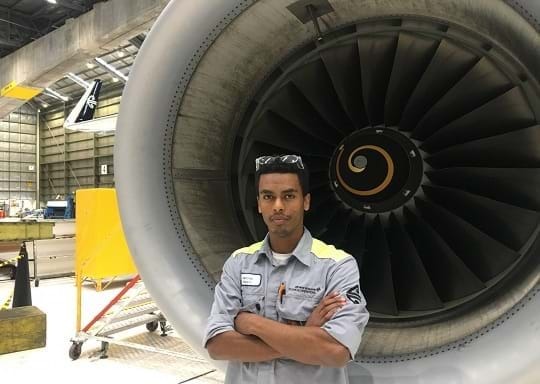 I found that the engineering skills and knowledge I gained was not only useful in the aviation industry but could also be adapted to a wide range of other industries. Firstly, I’d just like to highlight that being part of an organisation that train’s it’s own people and invests in their future from day one is something extraordinary. If you’re considering joining the Aviation Institute for your studies, in my opinion there is no competition when it comes to beginning your exciting career in Aviation. The people I met and spent time with through my course, I would consider lifelong friends and the support from instructors has continued right through into my traineeship. Most if not all things in life are a result of the environment that you put yourself in and your attitude. The instructors went over and above to ensure I was on the right track and I feel it is this that I appreciate most. 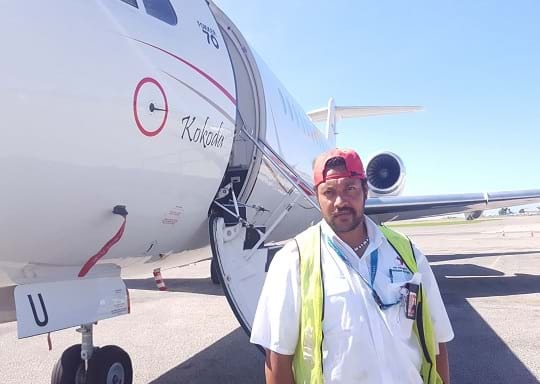 The training and guidance I received from the Aviation Institute geared me well for the job interview and subsequent full time traineeship I find myself in now. 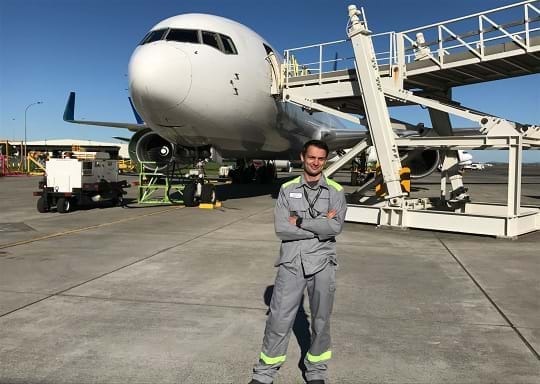 I have no hesitation in the advocacy of the Aviation Institute, for it is hands down the best place to start for not only the world of opportunity that is Air New Zealand, but any aviation based career. The Aviation Institute was an excellent experience for me. The Instructors are second to none, combining their personal industry knowledge with the learning syllabus, as well as having access to aircraft onsite made for a really fun hands on learning environment. Being able to disassemble, inspect and reassemble a functioning air cooled engine was a highlight for me, as well as working in teams with my peers who become great friends over the course duration. I've been able to apply a lot of the things I learnt over the course in the industry and feel it was an awesome foundation to prepare me for my traineeship and building my career. My best reasons for recommending the program are the experience of the instructors, the diversity of the students and the quality of the course materials as well as the training aids. I can honestly say that I have gained more knowledge and skills than I expected when I first enrolled. 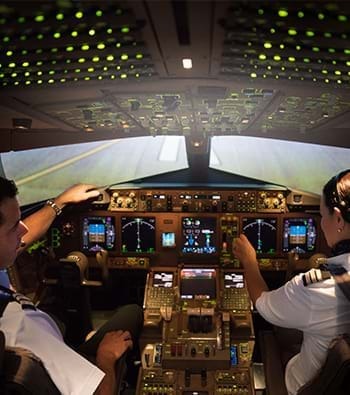 While the curriculum of program is not easy, it is structured very well, not only to introduce students to the aviation industry but also to prepare them for the work environment. My time at the Aviation Institute was an adventure. 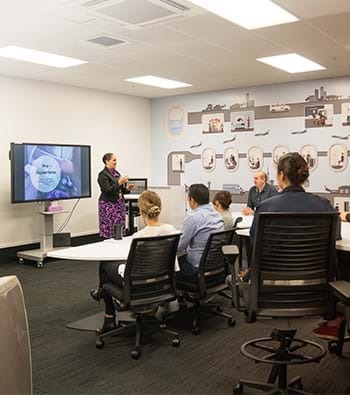 The course covered a wide variety of topics and each has helped me to progress further with my career at Air New Zealand. The instructors were professional and knew their topics with extensive experience including some shared funny moments. Above all I found them very helpful and encouraging. My group was a mix of international and domestic students and I made many friends that I still keep in contact with all over the world and at home. During the course, your group becomes like a family away from home and I can honestly say that it was one of the best families you could wish for. 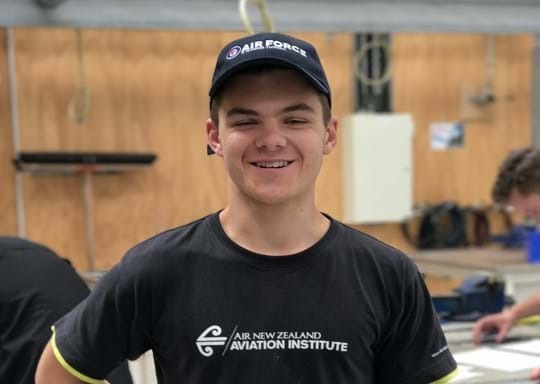 Without my time at the Aviation Institute, I would not be in my current position of Apprentice at Air New Zealand and I would not be the person I am without it.